The Jezebel experiment of 1954-1955 was a very small, nearly-spherical, nearly-bare (unreflected), nearly-homogeneous assembly of plutonium alloyed with gallium. 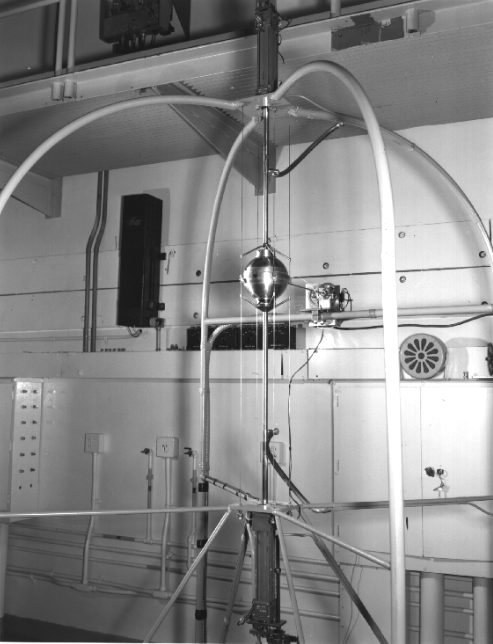 This experiment was used to determine the critical mass of spherical, bare, homogeneous Pu-alloy. In 1956, the critical mass of Pu-alloy was determined to be 16.45 Â± 0.05 kg. The experiment was reevaluated in 1969 using logbooks from the 1950s and updated nuclear cross sections. The critical mass of Pu-alloy was determined to be 16.57 Â± 0.10 kg. In 2013, the 239Pu Jezebel experiment was again reevaluated, this time using detailed geometry and materials models and modern nuclear cross sections in high-fidelity Monte Carlo neutron transport calculations. Documentation from the 1950s was often inconsistent or missing altogether, and assumptions had to be made. The critical mass of Pu-alloy was determined to be 16.624 Â± 0.075 kg. Historic documents were subsequently found that validated some of the 2013 assumptions and invalidated others. In 2016, the newly found information was used to once again reevaluate the 239Pu Jezebel experiment. The critical mass of Pu-alloy was determined to be 16.624 Â± 0.065 kg. This talk will discuss each of these evaluations, focusing on the calculation of the uncertainty as well as the critical mass. We call attention to the ambiguity, consternation, despair, and euphoria involved in reconstructing the historic Jezebel experiment. This talk is quite accessible for undergraduate students as well as non-majors.